If you follow me on Twitter or Facebook, you’ve seen my rantings about a proposed cell phone tower being erected between our house and our beloved mountain view. The cement had already been poured and it seemed likely that I’d spend my next thirty years staring at this iron monstrosity as I cooked dinner. So I delayed blogging because this is supposed to be an upbeat blog about coping with food issues. I did not feel upbeat. Being an allergic foodie, one of the things I do when I’m upset is eat. I just happened to receive not one but two packages with gluten-free and allergy-friendly foods in the mail. Don’t think that’s the chilling part; keep reading. The first one was from Tasterie. 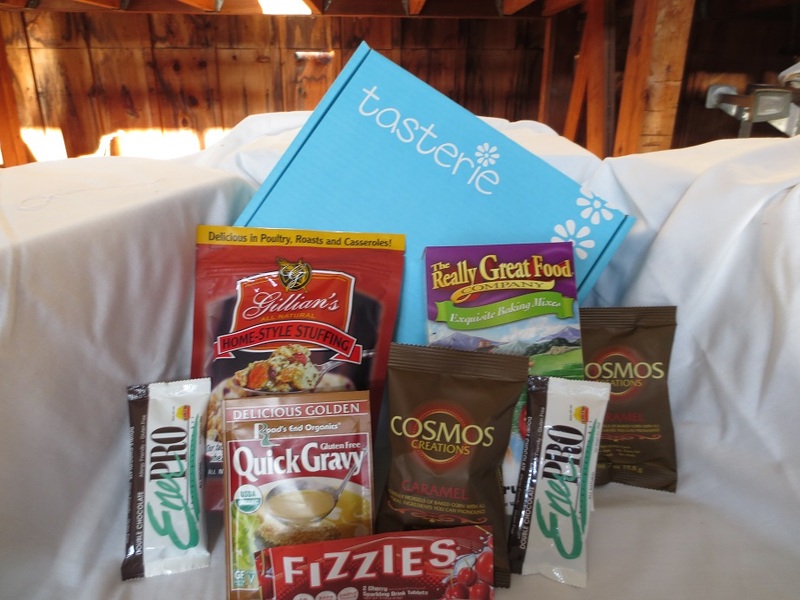 Started by a pediatrician and mother of an allergic child, Tasterie is a mail order food company for those of us with CD or food allergies. You can order a TasterieBox, like the one pictured above, tailored to your specific needs. I ordered the Top 8 Box, which included a few brands I hadn’t found on my grocery store shelves yet, like dairy-free mozzarella, pie crust mix (perfect for the holidays), and pancake mix for when my GF college boy is home for his Thanksgiving break. Then yesterday, the FedEx guy interrupted my angry tweets by delivering a large cardboard box from Udi’s Gluten Free. Inside were lots of fixings for gluten-free/dairy-free/soy-free Thanksgiving dishes. If you’re cooking this holiday, you must check out Let’s Feast! Udi’s Gluten-Free Thanksgiving Menu! The idea is to use these recipes and host a “Friendsgiving.” How fun is that! I loved getting all this yummy food especially during this stressful week, but I also felt kind of guilty. There are so many other people who are unemployed or housebound who could use this food. 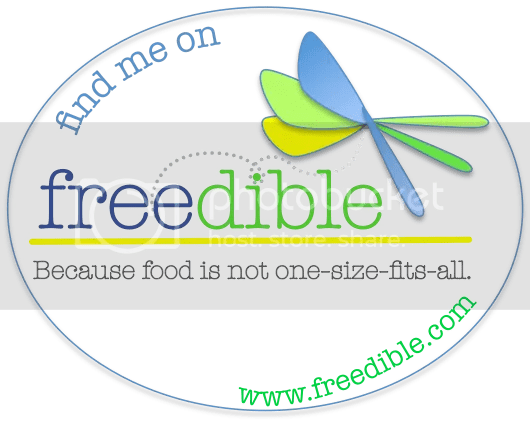 I began blogging about my idea to cook some of Udi’s Friendsgiving dishes along with Tasterie‘s pumpkin pie crust and share them with someone less fortunate who has celiac disease . . . but I didn’t know how to find such a person. This is the chilling part. My phone rang. My friend Judy wanted my advice for a meal she was preparing for a woman with celiac disease. The woman has serious multiple sclerosis, has been bedridden for a long time, and has a 12-year-old son. I couldn’t believe it. So Judy and Ky are coming over on Saturday to help George and me prepare a Friendsgiving for this woman and her son using the Udi’s and Tasterie foods I received this week. I’m feeling a lot less angry. I don’t have an answer regarding the cell tower, but something tells me the phone will ring with good news soon. Lots of people are blogging about a GF Thanksgiving! Amy – This gave me the chills. Things happen for a reason! You where there with all your ideas and along came someone who needed what you could provide. I don’t blame you for being upset about the cell phone tower. Thanks, Kathryn! Hope you have a happy Thanksgiving with your family and you are feeling well! Chills, yes, but good chills. What a coincidence! I’m glad you found someone you’re able to help during the holiday season (though of course it’s too bad to hear about her situation). Thanks, Molly. I’m guessing cooking a GF/AF meal for her will become a regular event. Can’t imagine being bedridden. Makes me realize food allergies and celiac disease isn’t all that bad. Have a happy Thanksgiving and I hope your studies are going well. My college boy comes home on Tuesday night. Yeah! This story is just what I needed this week! After what seemed like the week from hell that left me feeling cynical and downright mean spirited, I am inspired by your generosity. Now is the perfect time to look around us and share with those who are less fortunate. And what better way to use those great boxes that must have arrived for a special reason? Have a Blessed and Happy Thanksgiving! Thank you, G! I am braving the snow today to get the rest of the ingredients for GF/AF meal and have lined up another couple to help cook. What fun! Wishing you a wonderful Thanksgiving, too.